Behaviour modification is the procedure by which a dog’s established and unwanted behaviours are modified to extinction or to a level considered manageable by the owner. Fear is a natural and normal behaviour for a dog to exhibit, it is certainly the case that certain types of fear are important for a species to survive. It is determining what constitutes normal levels of fear and extreme levels of fear that can often be the problem for dog owners. A phobia is a fear response at a much greater intensity. Stress is the dog’s internal response to a given stimulus, it is a vital reaction allowing the dog to adapt to an internal or external demand or threat. A healthy level of stress is normal, however when stress becomes imbalanced then it can place untold pressure on a dog’s ability to cope physically and psychologically. Aggression is a normal behaviour and is necessary for the species to survive. However, it is determining what is considered normal that usually presents a difficulty when dealing with such cases. Owning a dog that displays aggression, for any reason, can be very exhausting possibly having a detrimental impact upon an individual’s general health and wellbeing. There are many reasons why dogs chase other animals or moving objects, and it is these very reasons that need to be explored when working with a dog that is considered to be a predatory chaser. In many ways chasing is a normal behaviour trait, it is part of a dog’s inherent make-up. However, for some dog owners it can be an extremely challenging behaviour. Consultation – We will carefully and respectfully listen to your concerns in the sanctity of your own home. Observation – We will spend sufficient time observing your dog’s behaviour in the environment in which it lives and moves. Analysis – We will analyse the motivations behind your dog’s unwanted behaviours through discussion and assessment before reaching a conclusion. Modification – We will use our vast experience, knowledge and professional expertise to develop and implement behaviour change protocols and recommend manageable solutions. Diagnostic – We will provide you with a written analysis of your dog’s behaviour and recommendations for future management. Client Support Forum – We will support you from afar. Why choose The Way of the Dog? Behaviour modification is a specialised field that requires a professional, experienced and dedicated approach. 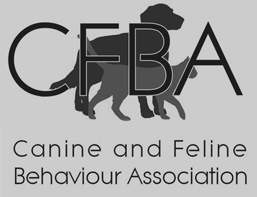 Shaun is a behaviour practitioner with the Canine and Feline Behaviour Association (CFBA), which is a partner of the Pet Education, Training, and Behaviour Council. The CFBA is accepted by Pet Insurance Companies who cover behaviour problems on their policies and meets their criteria for excellence in the field. Shaun is an accredited Member of the CFBA and as such, your pet insurance policy may assist with costs. Each insurance company will have its own criteria of what it deems a behaviour problem which the client can discuss with their insurance company prior to booking an appointment. Canine or Feline behaviour problems are defined by each individual company, dog training is not covered by pet insurance. Shaun’s national accreditations in the field of investigative interviewing and his commitment to the academic study of canine behaviour is put to great effect when establishing the origins and the motivations behind your dog’s unwanted behaviours. Whether your dog is experiencing difficulty emotionally or is generally causing problems in the home or the community – we can help. If your dog is fearful or aggressive – we can help. We will put our array of skills, vast experience, and in-depth knowledge to the test to help you better understand your dog and address the behaviour. We address the unwanted behaviours through ethically transparent procedures using the principles of reinforcement, conditioning, counter conditioning and systematic desensitisation. We adopt a balanced and measured approach to the problem by applying the laws of learning and utilising the principles at the very heart of how dogs learn in order to resolve or manage the issue. We understand dogs and their varying views of the world – and we can help you. Do you have a dog with behavioural issues? Send us the details of the specific behavioural issues your dog is displaying by completing one of the following forms.